No Hidden Oil Disposal Fee! Up to 5 qts 5W20 or 5W30 oil and filter on most vehicles. $10 OFF any other types of oil. #VP20 With Valpak® coupon only. Coupon void if altered. Expires 05/06/2019. Anit-freeze / coolant exchange. Power steering fluid exchange. Transmission fluid exchange. Fuel system cleaning. Most vehicles. See manager for details. #VPL15. Coupons may not be combined with any other offer. With Valpak® coupon only. Coupon void if altered. Expires 05/06/2019. No Hidden Oil Disposal Fee! Up to 5 qts 5W20 or 5W30 oil and filter on most vehicles. $10 OFF any other types of oil. #VP20A With Valpak® coupon only. Coupon void if altered. Expires 05/06/2019. When you purchase a full-service oil change from Oil Express, you can expect to be back on the road in 10 minutes or less. Your full-service oil change includes up to 5 quarts of 5w20, 5w30 or 10w30 all-season motor oil, new deluxe oil filter and chassis lubrication. 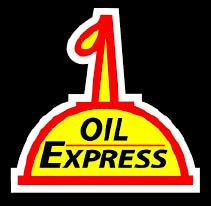 Oil Express has provided maintenance service for more than 20 million vehicles. Their experience, combined with their focus on customer service, makes them the best choice for full-service oil changes and your auto maintenance needs. provide up to five quarts of motor oil, check and fill transmission fluid, check air filter, Install a new deluxe oil filter, check and fill the differential fluid, check cabin air filter, lubricate chassis, check and fill power steering fluid, check belts, visually check suspension and steering linkages, check and fill the washer solvent, check hoses, check tires, computer test battery, reset oil warning system, spray lube on hinges and check the exterior lights. Dirty fuel injectors cause lost fuel economy and lost power. Our 3-step cleaning includes: fuel injector cleaner, intake valve cleaner and fuel injector air intake cleaner. Cleaning the fuel injectors will improve power, acceleration and fuel economy, all while at the same time lowering emissions. Coolant/Antifreeze lowers the freezing point and raises the boiling point of water, which keeps your engine running at a steady temperature. Properly mixed coolant/antifreeze will also protect your engine from oxidation and corrosion. Manufacturers vary on their recommendations which can be as low as 30,000 miles but can also be as high as 100,000 miles. Please consult your owner's manual for your vehicle under Severe Conditions. Transmission fluid provides hydraulic pressure required for shifting, and it cools and lubricates parts. If your transmission slips or the fluid is burned, it is too late to prevent damage. Changing the fluid may not fix slipping or other symptoms. Differential fluid cools and lubricates the moving gears within your differential, also known as the "gear box." Water contamination can be a problem. Air Filters, Batteries, Cabin Filters, Engine Flushes, Exterior Lights, PCV Valves, Power Steering, Flushes, Tire Rotation and Wiper Blades.